For my first time in the US, it was inconceivable to travel only for work. I had the chance to represent France at the annual GBTA (Global Business Travel Association) Convention, the reference event in the Business Travel arena, that welcomes 7,000+ professionals each year. Denver (Colorado) was the host city this year. As a Bleisure enthusiast, this business trip was the perfect opportunity to extend my stay, and explore! I must admit that in the first place, Denver was not the sexiest destination… on the paper 😉 But that was before I find out about the incredible potential of Colorado! In fact, this destination was made for me! In short, Colorado is the winning combination! The State of the Rocky Mountains. What can you expect? Majestic mountain landscapes, stunning open spaces, amazing canyons and gorges, unexpected wildlife that will cross your path … In a few words: nature in all its splendor! Infinite opportunities of outdoor sports for active holidays! Hiking, mountain biking, horse riding, climbing, rafting … to name just a few! And of course, winter sports including the iconic resort of Aspen. • 11-day solo road trip. • Dozens of people met on the road. • At least 2 kilos of ice engulfed (seriously why put so much ICE in all your drinks, my dear American friends? lol). • 4 different lodging styles. • 4 amazing sports challenges. • At least 100 “how are you doing? “to which I always replied with the same enthusiasm and smile. 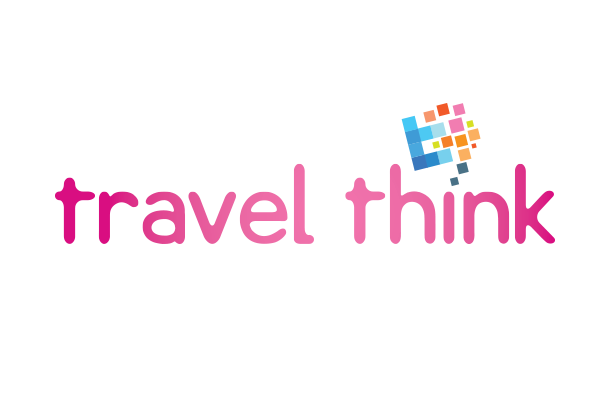 Captivating Colorado from TravelThink on Vimeo. 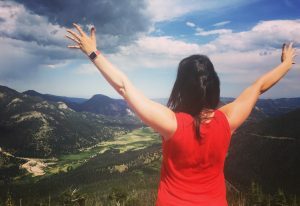 Colorado is the equivalent of half of France … So in a 11-day road trip, you have to make choices, you cannot explore everything! But one thing is absolutely certain: you will be amazed, just like I was amazed by the incredible variety of landscapes that I saw! Before leaving for my adventure, I wanted to enjoy Denver’s LODO (Lower Downtown) nightlife. The neighborhood is lively and boasts very nice bars… with rooftops, please! I rented a car, and started heading North. My first stop was Boulder. 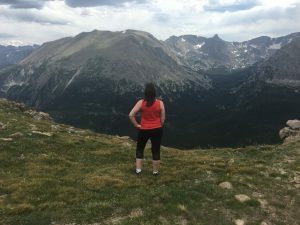 I then headed to Estes Park, the point of entry of the Rocky Mountain National Park (RMNP), and went on the majestic Trailridge Road, running through the RMNP (closed in winter). 48 miles of pure beauty, a delight for your eyes! The highest point of the trail reaches 3713 meters! … I discovered nature in all its glory! A perfect opportunity to meet chipmunks, deers, elks! Rocky Mountain National Park means hiking! The National Park (NP) offers hikes adapted for every level. If you opt for a bit of a physical challenge, you will reach the best panoramas (no pain, no gain). Well… the weather has not been particularly kind to me because I literally ended soaked! (A travel tip: do not forget your rain coat in your car :-)) It was truly awesome to stand 2700 meters above sea level in the middle of a storm and thunder! I also enjoyed Grand Lake, a popular spot in summer time, but yet peaceful. Like an air of Lake Geneva! The second step of my road trip led me to my second sporty challenge: mountain biking! The road from Vail to Grand Lake is gorgeous! I crossed forest areas classified as “National Forests”, plains, before gaining altitude and reaching the highway that offers splendid views. Vail, Breckenridge and the surrounding towns (Aspen is only around one hour away) are famous ski resorts in winter season. And during summer season, they are highlights for hiking and mountain biking. I have already experienced fatbike in Corsica, and mountain bike in Tenerife island. But the tracks at Vail were the most challenging ones! My biggest hurdle: the altitude! I literally had no air. I was constantly breathless. Well to be fair, few courageous riders went up the trails, and took gondolas! (lazy ones ;-). And I must say it felt a bit weird to ride under the empty winter chair lifts! After the mountain atmosphere, let’s go for the Western ambiance! On my road to the Great Sand Dunes National Park, I stopped in Leadville, a former charming mining town, with its traditional railway, its colorful wooden houses, and its typical streets. Did you know that Colorado is home of the gold rush during the 19th century? I then stayed in a bison ranch for three nights: Zapata Ranch. A cowboy atmosphere in idyllic surroundings. Nothing on the horizon, except nature, and the unexpected and gorgeous landscape that the Great Sand Dunes National Park offers. The ranch literally offers a VIP view of this geological curiosity! The ranch experience also means an exceptional contact with horses. Guests staying for a longer time can accompany wranglers in their daily job, and move herds on horseback for example. For my part, I had little more like a tourism experience. 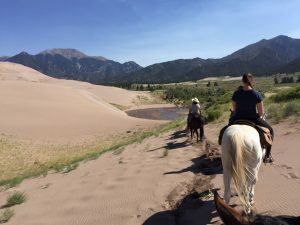 The best way to explore the highest sand dunes of America, nestled at the foot of the Sangre de Cristo Mountains, is on a horse back trek, with the wranglers of the ranch! And it is on my beautiful white horse called “Suburban” that I discovered the National Park. A trail of 4+ hours during which I discovered an oasis, the dunes, and more arid vegetation. A superb and unexpected experience! The ranch also gives you the opportunity to watch the bisons, at some distance though, given the intrepid character of the animal. Fun fact: a bison is twice as big as a horse, but it runs just as fast as him! The visit was also a way to learn more about the breeding of bisons, who live independently in an area of 50,000 acres. Once a year, the wranglers bring them together (after locating them by plane and grouping them with quads!) to vaccinate them, detect pregnancies, and select the bison who will be sold. I also attended the oldest rodeo of Colorado at Ski Hi Stampede stadium! And… WOW – It was mind-blowing! It’s a real show. You can feel that you are in the heart of Western culture. I highly recommend you to attend a rodeo! I finished my Western chapter by stopping in the ghost town of St. Elmo, nestled in the mountains. This city was extremely popular for its gold mines in the late 19th century, but it began to be abandoned in 1929. The buildings facades are very well preserved, and the town offers gorgeous landscapes! For the last leg of my road trip, the landscape change is almost disconcerting: you are surrounded by red rocks! I joined the Royal Gorge through Salida, a very cool town with lots of bars and historic facades, bordered by the Arkansas River. I stayed in Cañon City for 3 nights, near the Royal Gorge I explored from all angles : below and above! The day after, I explored the Royal Gorge from below … and that was clearly the most impressive experience and the strongest sensations. 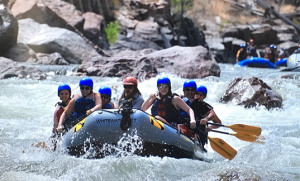 A me-mo-ra-ble rafting on the rapids of the Arkansas River … a mythical river known worldwide by rafters! A 5h30 rafting… it shakes and it is top rated if you love challenge and thrills 😉 You will enjoy quieter moments where you can enjoy the beautiful scenery, and you can even spot bighorn sheeps perched on the mountains! On my way back to Denver to catch my flight, I stopped on a mythical site: Garden of the Gods, a public park in the city of Colorado Springs, close to the charming Old Colorado City. It is an impressive geological formation that is over 40 million years, and that was formerly Indian lands. The popular site is huge but very crowded (it is free), but this short stop is quite nice. That said … YES I spent 11 awesome days in Colorado … and work brought me there! 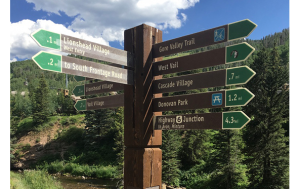 Colorado is a destination that will definitely appeal to nature and sports lovers. 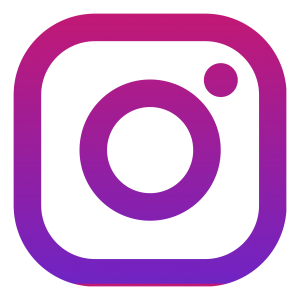 Denver hosts a huge Convention Center, so if you are there for work, do not hesitate to spend at least one or two days (or a weekend?) to explore the surroundings. Some sites are located an hour or two from the capital of Colorado! It would be a shame to miss such an opportunity! I sincerely think Colorado deserves to be better known as a destination. Furthermore, it is on the crossroads of great National Parks like Yellowstone (Wyoming), or West with Bryce Canyon and Zion (Utah), or the mythical Grand Canyon (Arizona).